Social Media is changing the way we communicate—and not just teenagers on Twitter. Join your colleagues to hear three leaders in health care discuss how their organizations are using Social Media to revolutionize health delivery and communication. Hear from a large medical group, a medical center, and a health plan about their use of social media, its benefits and pitfalls, and how the well-rounded executive of the future will need to have at least a working understanding of this emerging form of communication, marketing, and healthcare delivery. Mary Pietrowski, Sr. Director of Digital Strategy & Marketing for Hologic, Inc.
A light dinner will be served starting at 5:30pm, event will be held from 6-8PM. Please join your colleagues and friends for this unique Forum led by Nancy O’Hare, WHCM Board member and Health Care Strategist for Winchester Hospital. She will interview using a fireside chat style to encourage a relaxed, informal, interactive discussion with Kate Walsh. Attendees will have an opportunity to hear about Kate’s career path, environmental influences that supported her decisions, and how she manages the challenges of the changing health care arena. Her extensive background prior to her current position at BMC includes serving as Executive VP and COO at Brigham and Women’s Hospital, and COO for Novartis Institutes for Biomedical Research. BMC is a private, not-for-profit, 508-bed, academic medical center with a community-based focus. The primary teaching affiliate of Boston University School of Medicine, Boston Medical Center has approximately 5,000 employees, 1,300 physicians and an annual operating budget of roughly $1 billion. BMC is a founder of Boston HealthNet, a network affiliation of the Medical Center, Boston University School of Medicine and 15 community health centers. Boston HealthNet, is an integrated health care delivery system whose partners provide outreach, prevention, primary care, specialty care and dental services at sites located throughout Boston’s neighborhoods and Quincy. In addition to the Medical Center and its affiliated health community health centers, BMC owns and operates the BMC HealthNet Plan, a statewide Medicaid Managed Care Organization with more than 250,000 members across the Commonwealth. Please join your friends and colleagues of WHCM for our Fall Networking Event. Appetizers are included with a cash bar available. We look forward to seeing you there! Please join your friends and colleagues of WHCM for our Welcome Summer Networking Event. Be part of this exciting “WHCM Women Connect” event by joining old friends and new at Joe’s Bar & Grill in Dedham. Appetizers are included with a cash bar available. We look forward to seeing you there! Please join us for the Women in Health Care Management Spring Leadership Forum to hear four distinguished leaders in health care share their strategies and professional experience as they navigated their career paths through challenging times. As they share their “stories”, you will not only hear about how they advanced their careers, but also the techniques they used to manage the stress of change and how they created their individual brand. 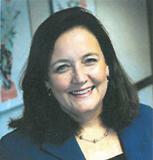 Wendy Weitzner, Chair of WHCM Nominating Committee is VP with Innova Group in Boston, a healthcare planning consultancy. Amy McNulty, President if MacNulty Consulting, L.L.C., a healthcare consulting firm that provides strategy and planning services to healthcare organizations. She is currently Project Director for Community Links. 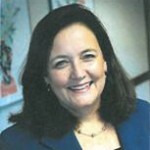 Linda Battaglini, Healthcare Strategist working with Emerson Hospital and other organizations to develop the structures and policies to enhance Professional Board leadership. Afsana Akhter, Chair of WHCM Technology Committee, is the Vice President of Business Development at Medullan,Inc, a rapid-growth technology services firm for the Healthcare Industry. Dinner and Networking will begin at 5:30pm. to register online and reserve your seat. Start off your fall with a fun WHCM networking event! Re-acquaint with old friends and make new ones. Appetizers and cash bar. If you join WHCM or renew your membership that evening, there is no charge for the event. WHCM presents five dynamic health care leaders leading a panel discussion on how health care reform is bringing new opportunities to the health care profession. Moderators Emily Brower, Senior Director for Harvard Vanguard and Amy MacNulty of MacNulty Consulting will lead this powerful, thought provoking discussion on how different health care organizations are embracing the changes brought in by health care reform. Join us for appetizers, drinks, and networking on Monday, July 12. Socialize, eat great appetizers, grab a cocktail, and participate in our “speed networking” event. Come prepared with a problem you need solved, and get advice from 7 women in 10 minutes! Trouble with an employee? Looking for a special consultant? Trying to ask for a raise? Co-worker driving you crazy? Get new ideas quickly from your fellow women in healthcare management. $10 fee for members ($20 for non members) covers cost of appetizers. A cash bar is also available. We look forward to seeing you!